The next morning we were up early, ate breakfast (yes, a couple more fry jacks), packed up all our gear and the three of us jumped into the shuttle from Hopkins to Placencia. 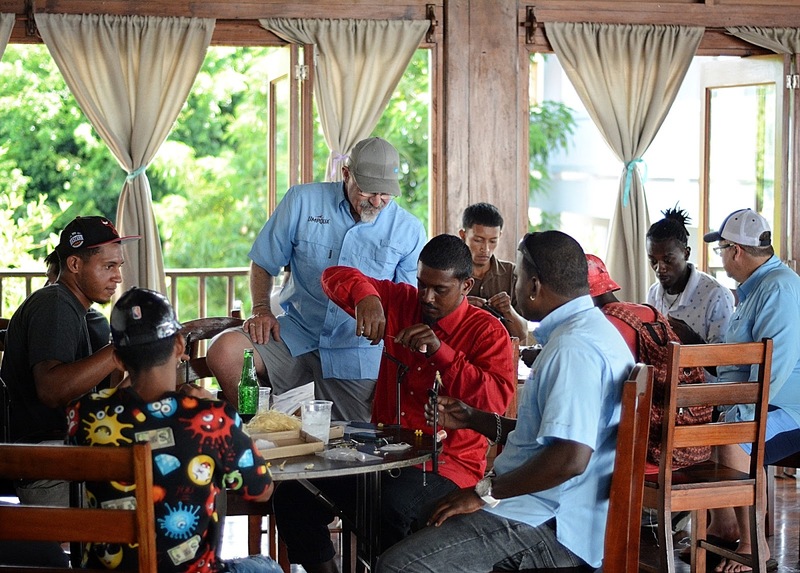 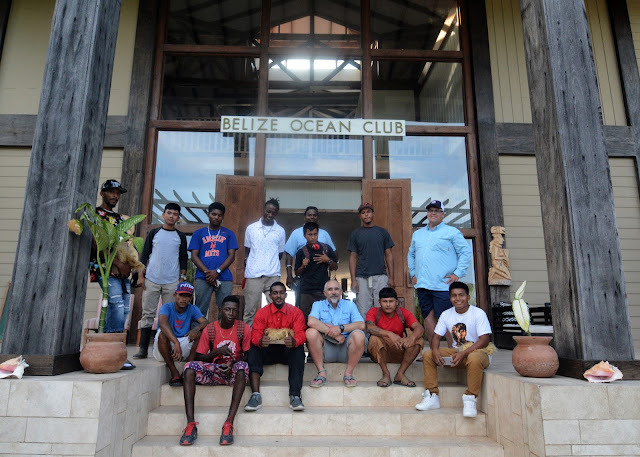 Our next stop would be at the Belize Ocean Club as they would be host to the next session of the Southern Belize Fly Tying Initiative. 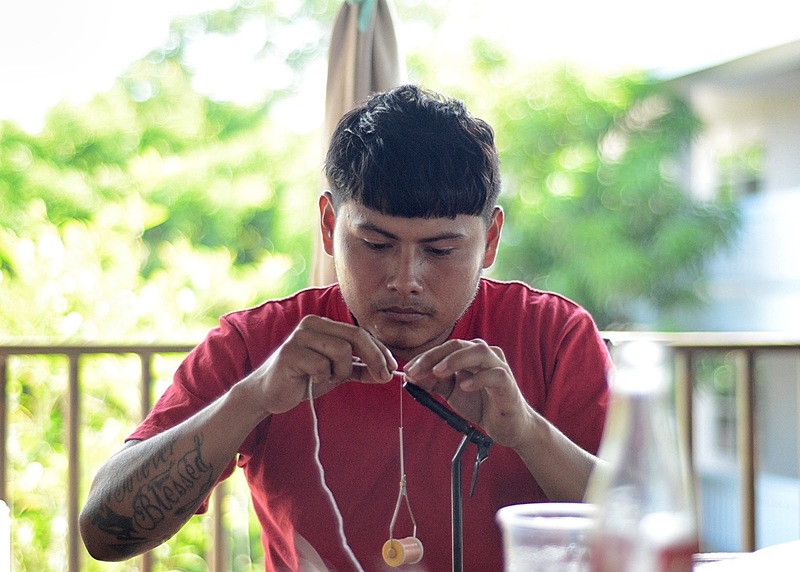 The drive to get there was beautiful as we passed fruit fields and drove along the edge of the the jungle mountains and then traveled our way back to the ocean. 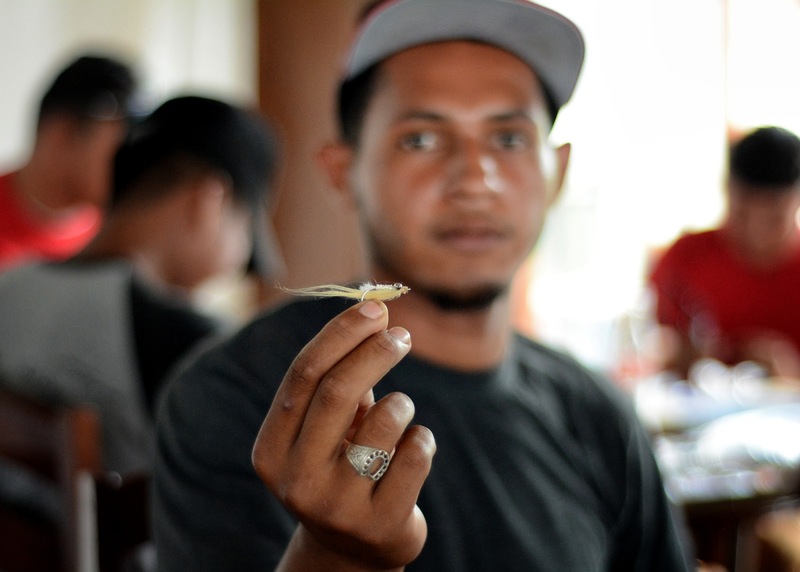 There was a lot of anticipation on the drive down as we all wondered at how many would show for this next session. The response and experience from the day before was so positive that we hoped that the stoke would continue. 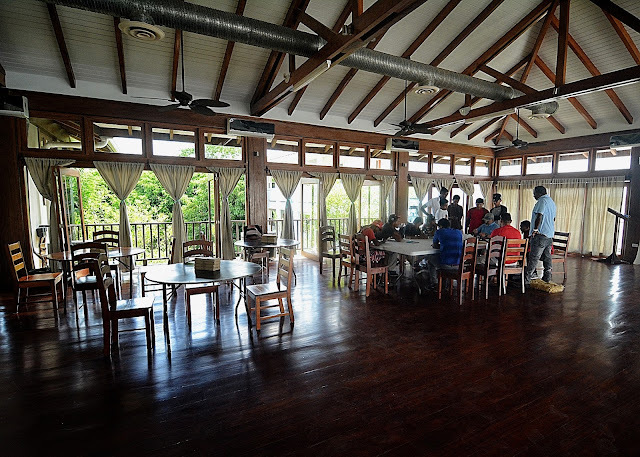 On our arrival, we had just enough time to check in to our rooms, eat an early lunch by the ocean side pool and then went to the upstairs conference room to prepare for what we hoped would be a room full of eager students. 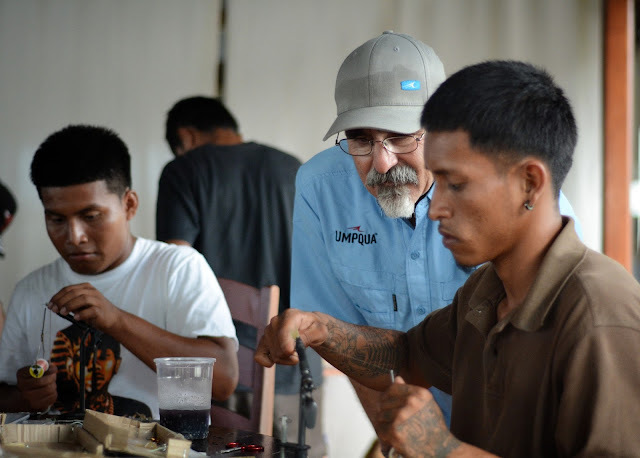 While Dave Student of Umpqua Feather Merchants prepped an area with his vise, tools and materials for group instruction, Scott Thompson and I set up the room by putting up round tables and chairs for each student to sit and tie. 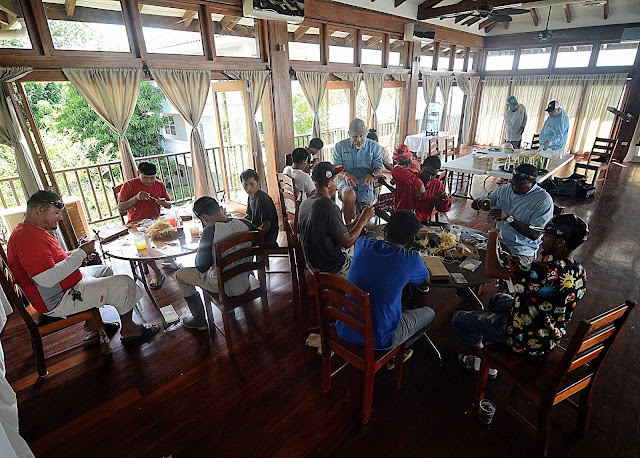 As we were finishing up, a group of over a dozen men, most in their late teens to young adult, walked up the stairs and into the room. Everyone shook hands, exchanged names and within just a few of minutes Dave had everyone crowding around him as he began his introductory lesson on fly tying. 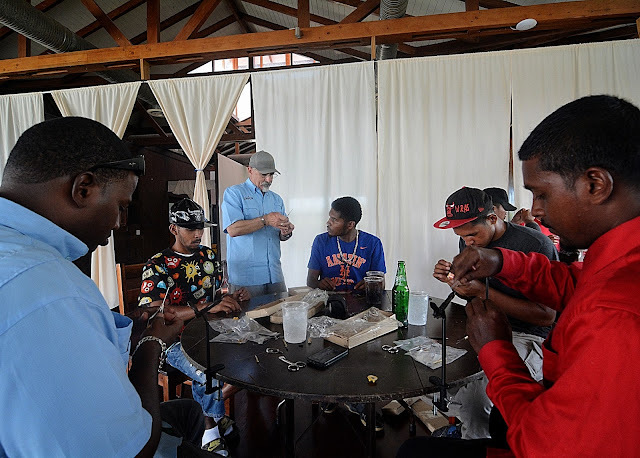 As the day before, everyone attending was completely focused on learning and you could see they were locked into everything that Dave did behind the vise, recording videos on their mobile phones and asking questions. 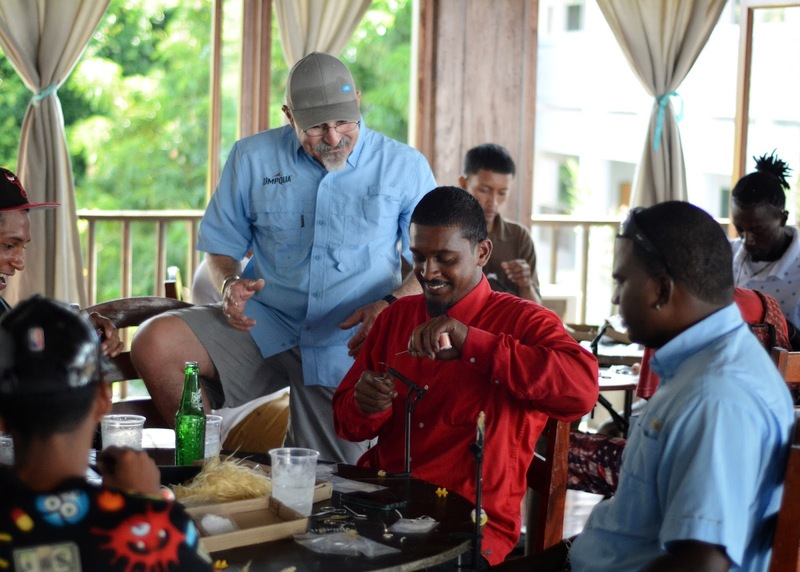 Dave handled this group like the professional that he is and it was so evident that he not only has the knowledge to teach fly tying but the skills in communicating and connecting with everyone in the room. 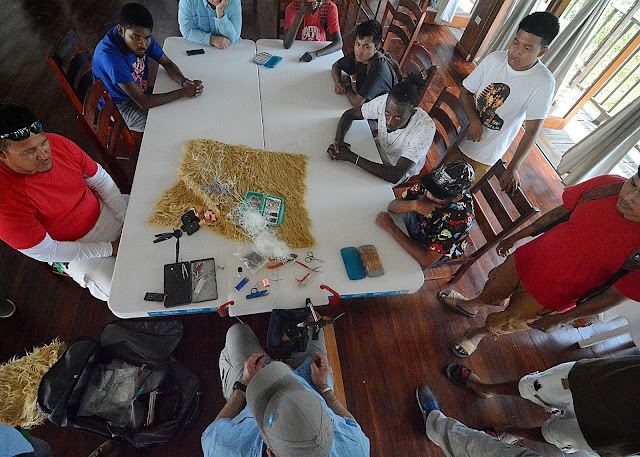 It was really impressive to watch him throughout the session and without a doubt, each knew that he intensely wanted them to learn and know everything that he was showing them. 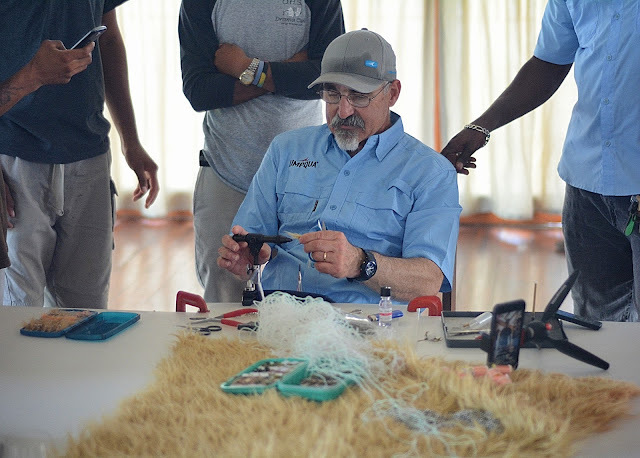 With the instructional portion done, everyone found a seat around the tables and got acquainted with their tying kits and materials that were set before them. 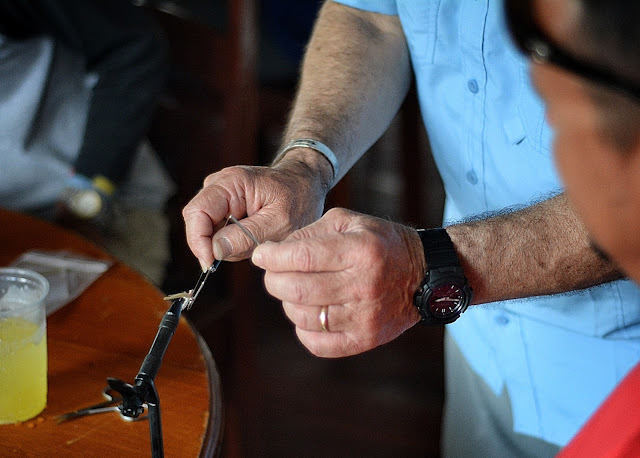 Vises were attached to table edges and the process of tying their first Gotcha fly began while Dave and Scott went student to student helping and showing is it was needed. 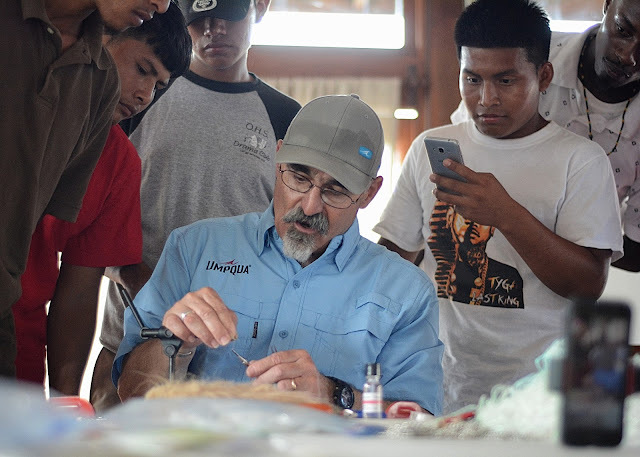 If someone was stumped with a technique or a step in tying a fly, Dave would go one on one with them at his vise carefully with careful explanation while having the student show him that he understood it. Do you see the fellow in the red shirt in the right corner of the above photograph and below in the left corner? 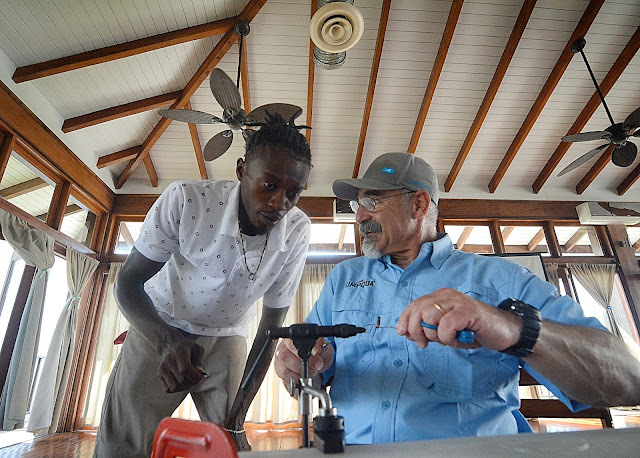 That is Marlon Leslie of Blue Horizon Belize and even though he's a rock star permit guide (along with being one of the nicest guys you could meet) who grew up on the back deck of a panga guiding anglers from all over the world for permit, bonefish and tarpon, he had never learned to tie his own flies. This session was a revelation to him and as a guide, Marlon quickly saw the importance of knowing how to tie flies in not only keeping his fly boxes full but also having the ability to tweak patterns exactly how he needed them for the places that he fishes. 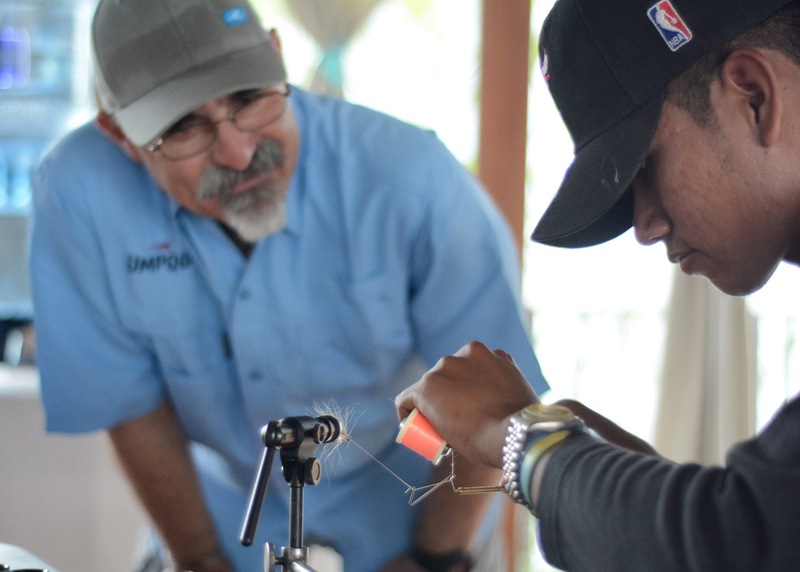 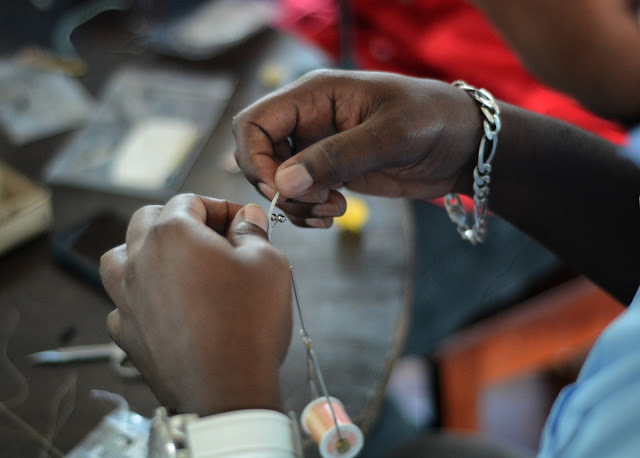 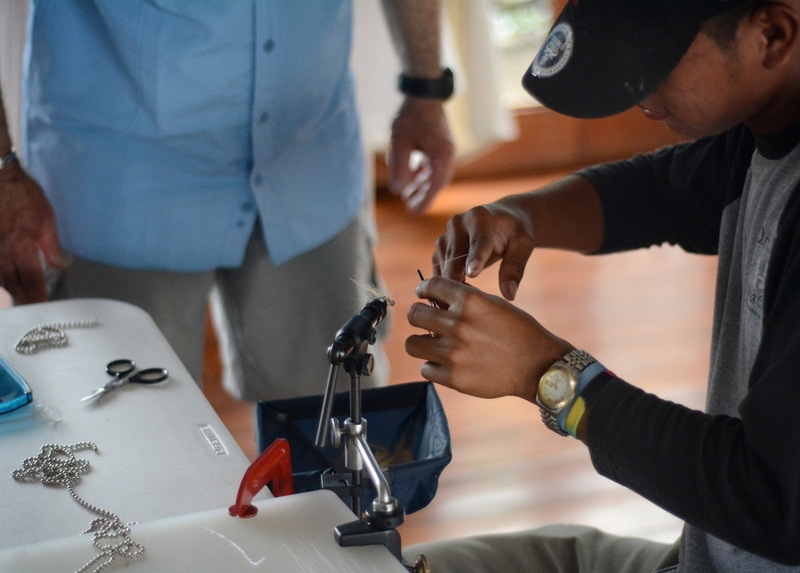 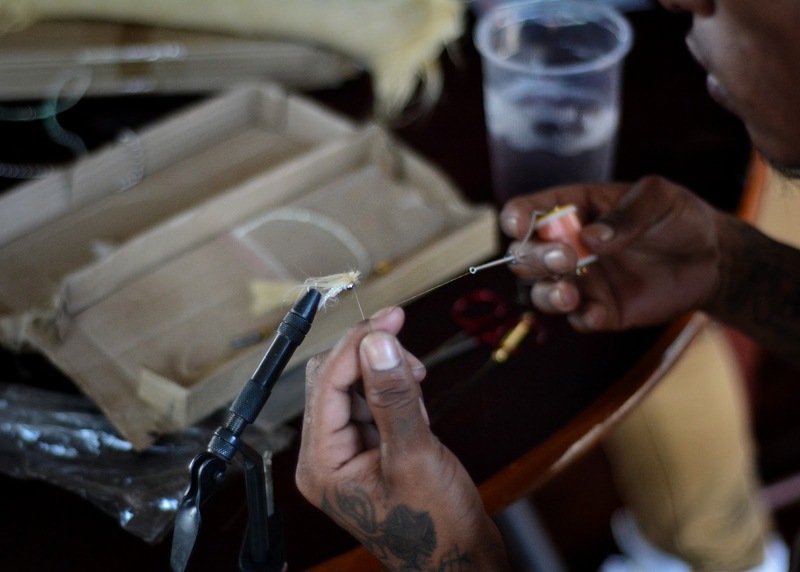 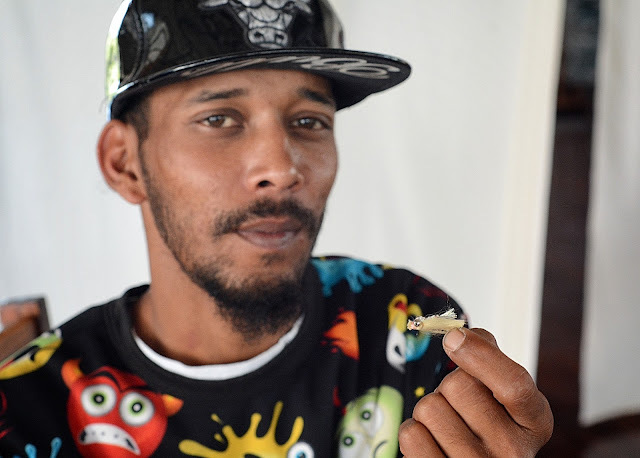 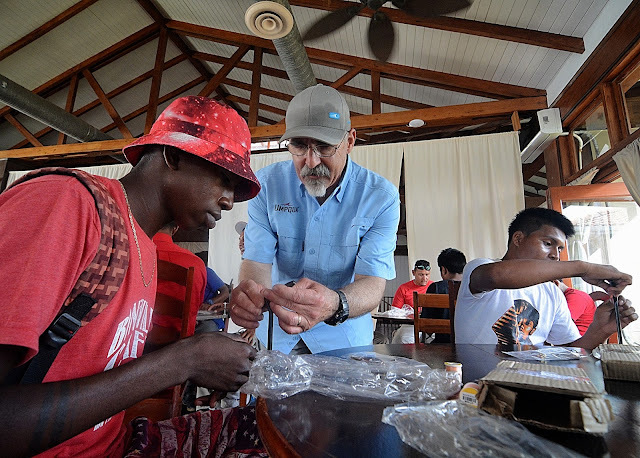 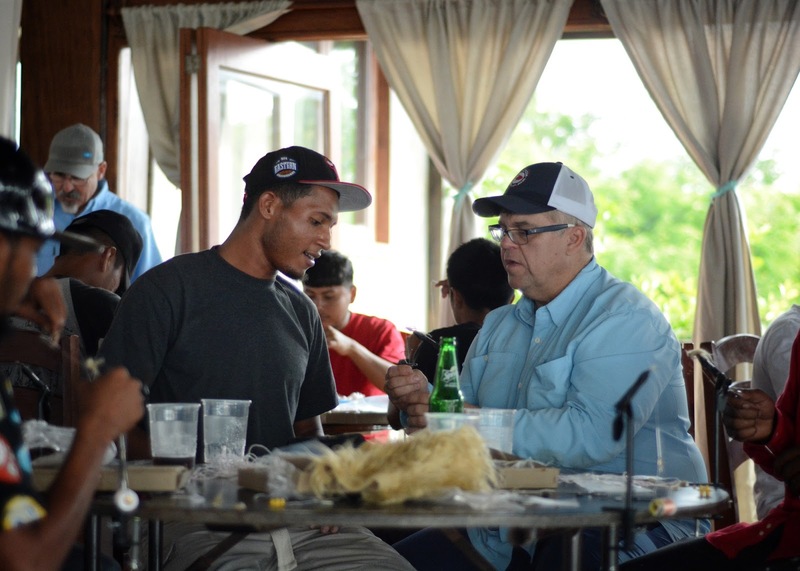 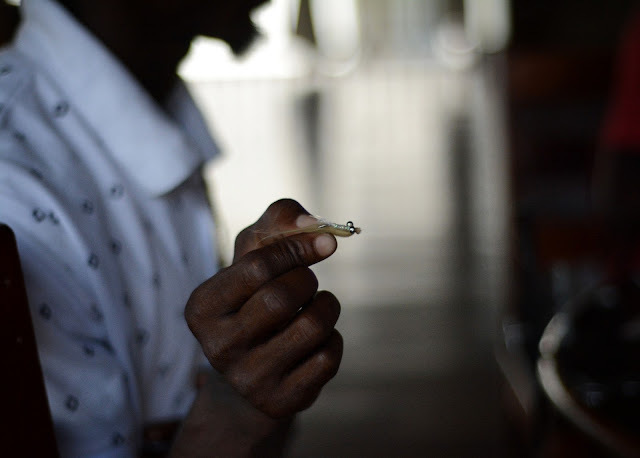 Marlon's interest in learning was infectious and while tying a few Gotchas, he explained the importance of learning how to tie flies to the group which had many realizing this could be a turning point for each of them. 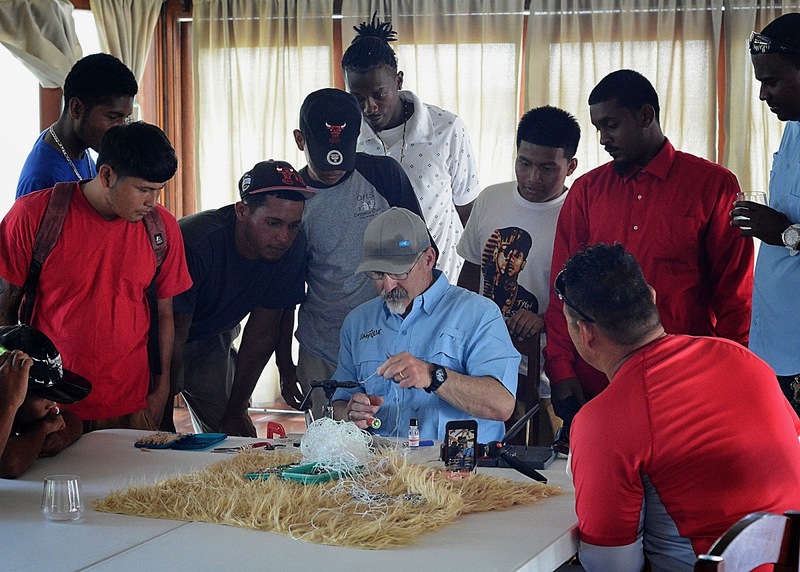 Some in the room already aspired to be a guide or somehow connected to the local angling industry and learning these skills could certainly open many doors to their futures. 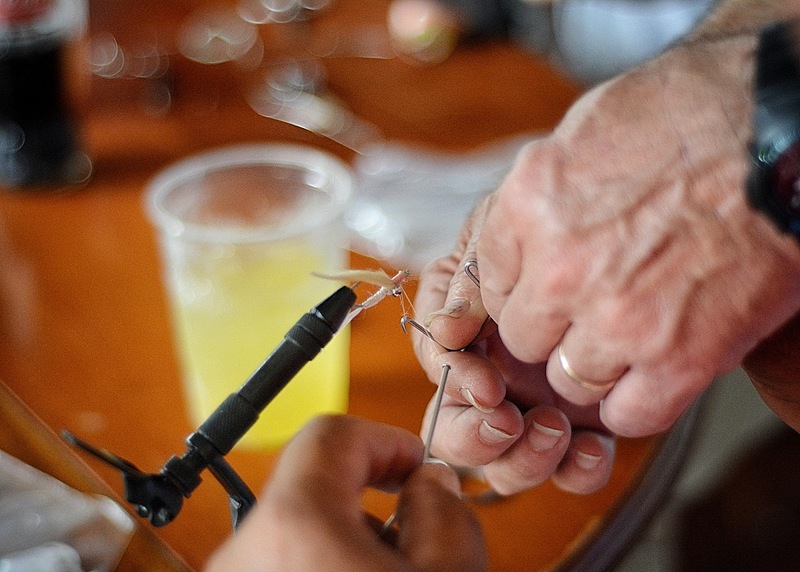 As this session was winding down, each person was not only given a vise and tools but Dave evenly divided up all the remaining materials to make sure that everyone had what they needed to hone their newfound skills on a few dozen Gotcha flies. 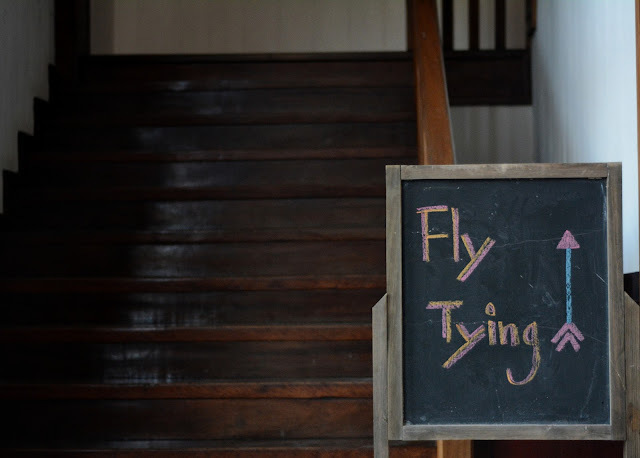 It was amazing to see each of their first fly attempts and how quickly their skills improved to the last Gotcha they tied before leaving. 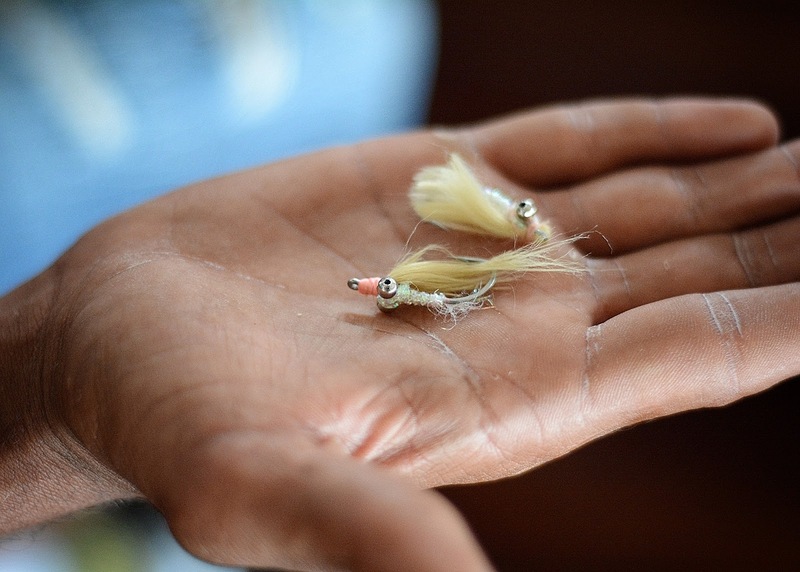 These flies would catch a bonefish for sure and it really makes you wonder what fly 100 and 1,000 would look like? 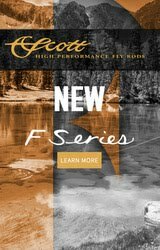 Where has this program gone from these two introductory sessions? 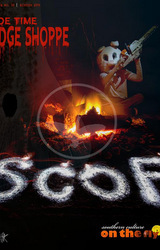 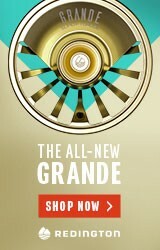 Look for an upcoming update on T.F.M. 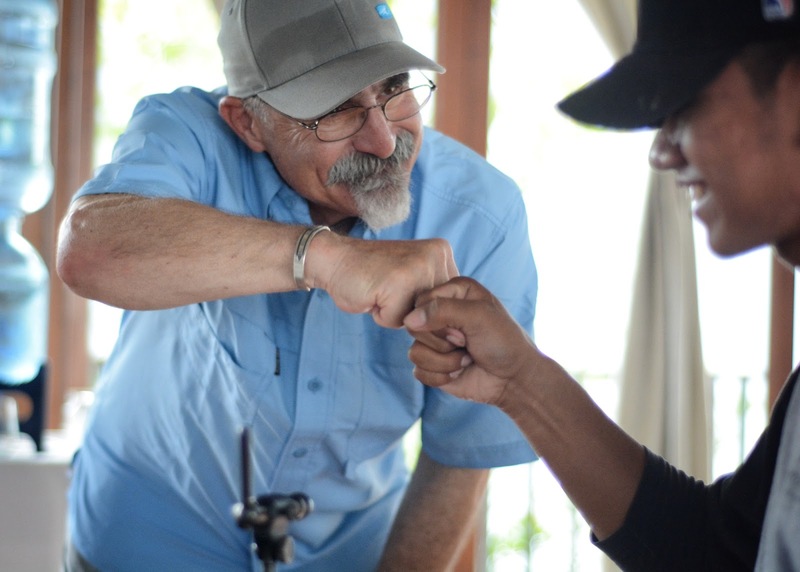 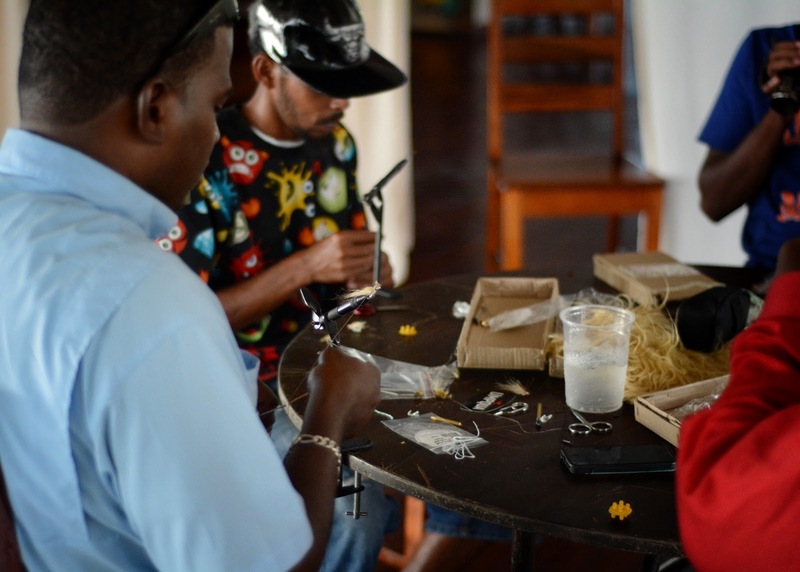 of what's happened since we left and the next steps forward as the Southern Belize Fly Tying Initiative continues on. 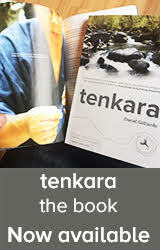 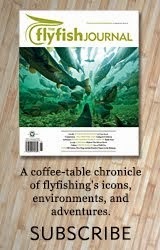 Scott Thompson and Dave Student had an exceptional idea with this initiative and there are plans to keep this growing for the benefit of local Belizeans who today might be learning how to tie their first fly but tomorrow may be guiding you to your first permit, bonefish or tarpon. Lastly, a special thanks to Blue Horizon Belize and Muy'Ono as they were host and sponsor to this event along with putting Scott, Dave and I up two beautiful waterfront suites while in Placencia.